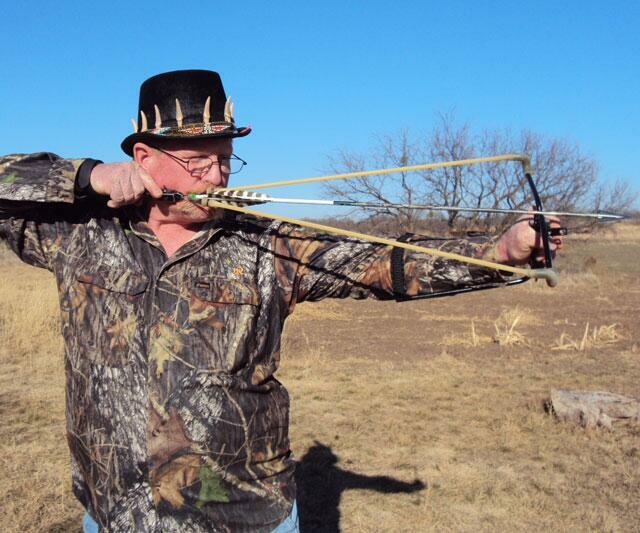 Rattlin' Randy Riffenburgh owns the dual titles of Falcon Slingbow Creator and Falcon Slingbow Sniper. 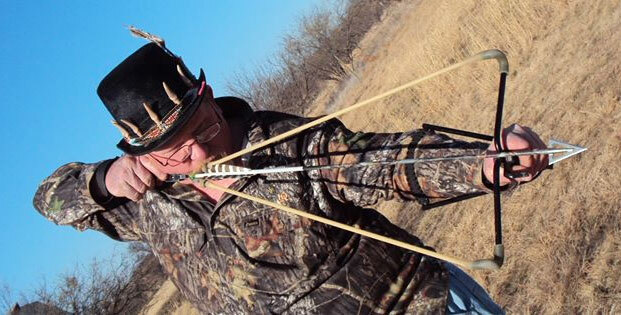 He developed the patent-pending, arrow-shooting slingshot for hunting, fishing, and target shooting. 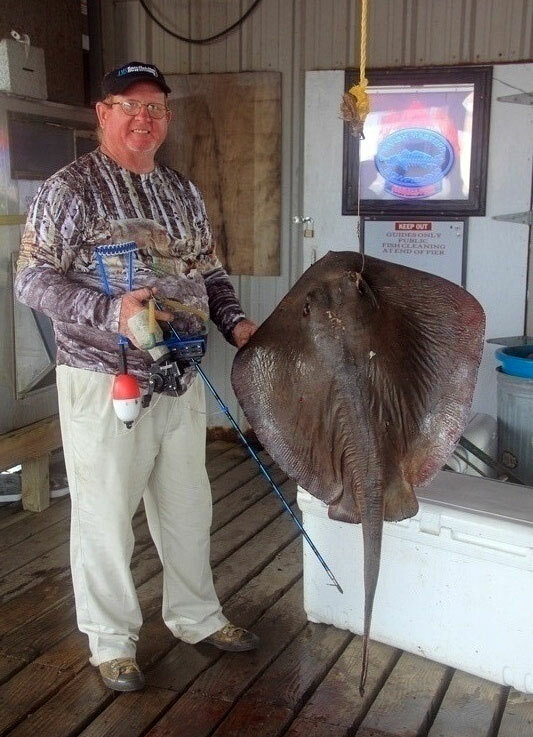 And he reigns supreme in his successful use of it to haul home everything from deer to rays to what appears to be some sort of croco-fish hybrid. 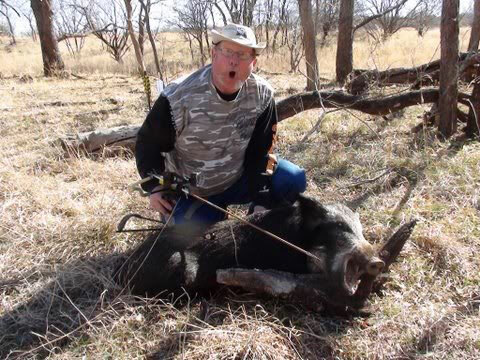 Looks like he surprised even himself taking down that boar. The Original Falcon Slingbow, Bare. Shoots a full length arrow from its steel frame, and includes a 40lb powerband and hand-braided arm support. Fits the young, the old, the weak, the strong, even the left-handed (by request). A sight bracket is also included, but the sight and rest themselves are not. 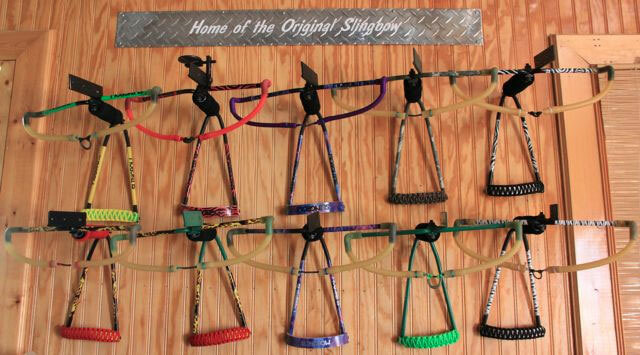 The Original Falcon Slingbow, 60lb. 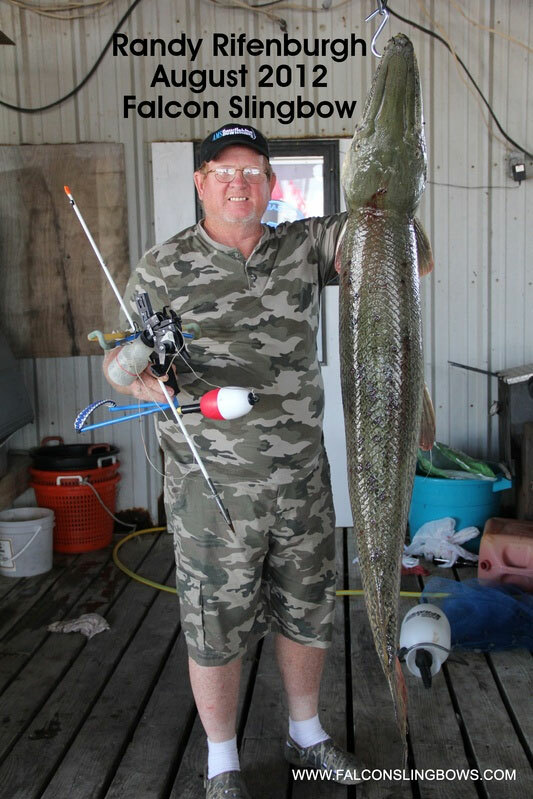 Same as above, but with a 60lb powerband that makes this version better suited for game hunting (if legal in your state) than bowfishing. The Original Falcon Slingbow, Out-of-Box Ready. Same as above, no assembly required. Includes the 40lb powerband. 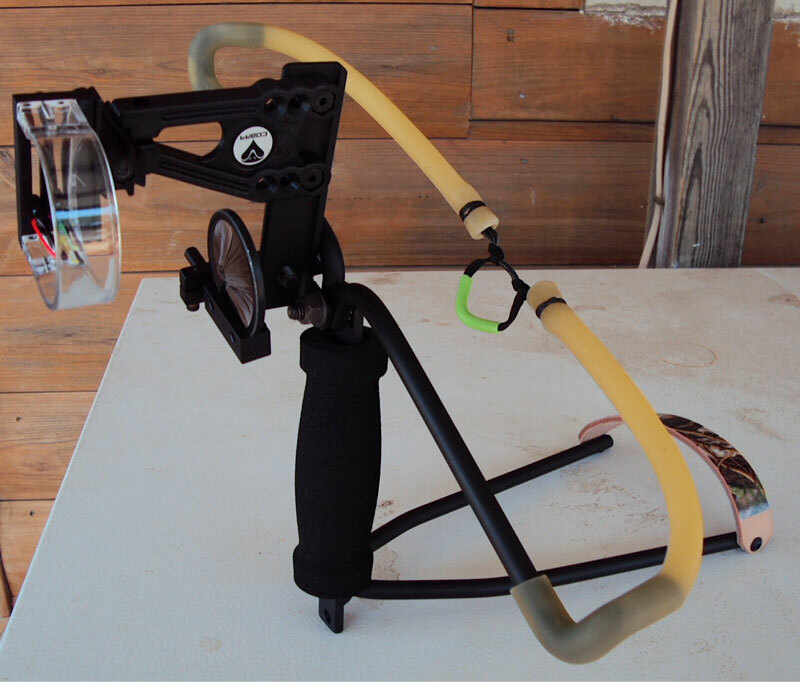 The Falcon Bowfishing Slingbow, Out-of-Box Ready. The Original with an AMS Retriever Pro fitted with a 200lb line and an AMS tidal wave rest.